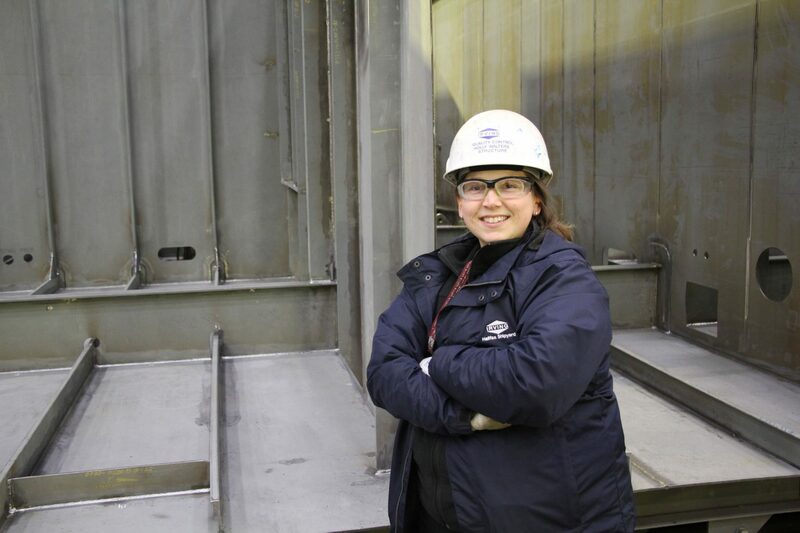 As a structural welding inspector, Holly Walters is used to working in traditionally male dominated environment. 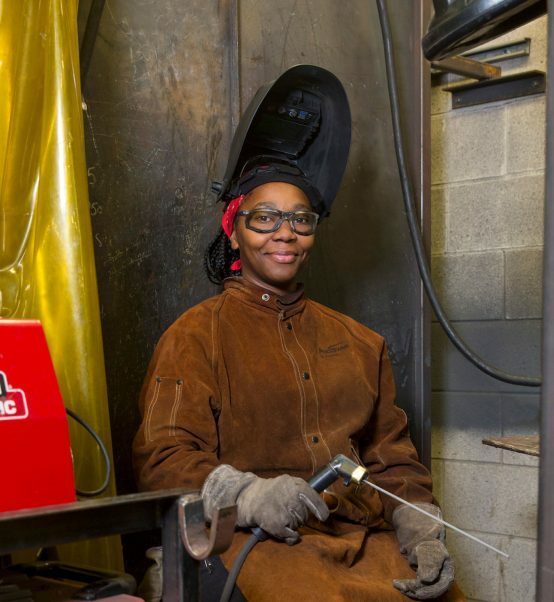 After studying non-destructive testing and welding inspection, she travelled across the country for work before joining Irving Shipbuilding in 2015. 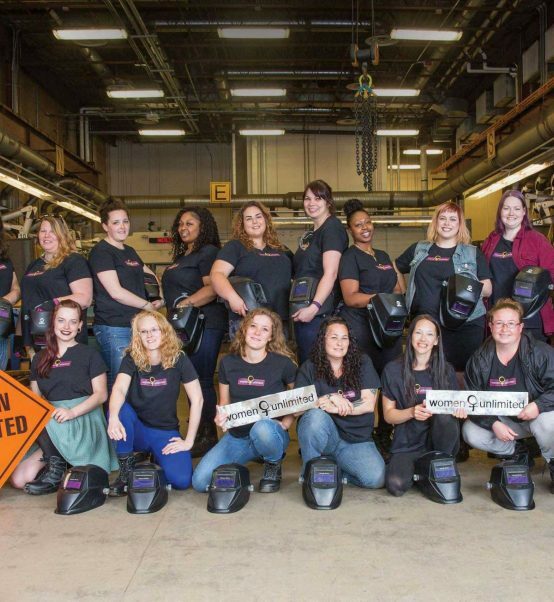 Today, Holly is encouraging other young women to pursue similar career paths by acting as a Mentor/Role Model with Techsploration, a non-profit organization that encourages young women to explore careers in Science, Trades, and Technology. In her role, Holly engages with young women at the Junior High and High School level to introduce them to different and varied career opportunities. Recently, Holly hosted a group of young women in grade nine at Halifax Shipyard to give them a firsthand look at the breadth of career options available in the organization. 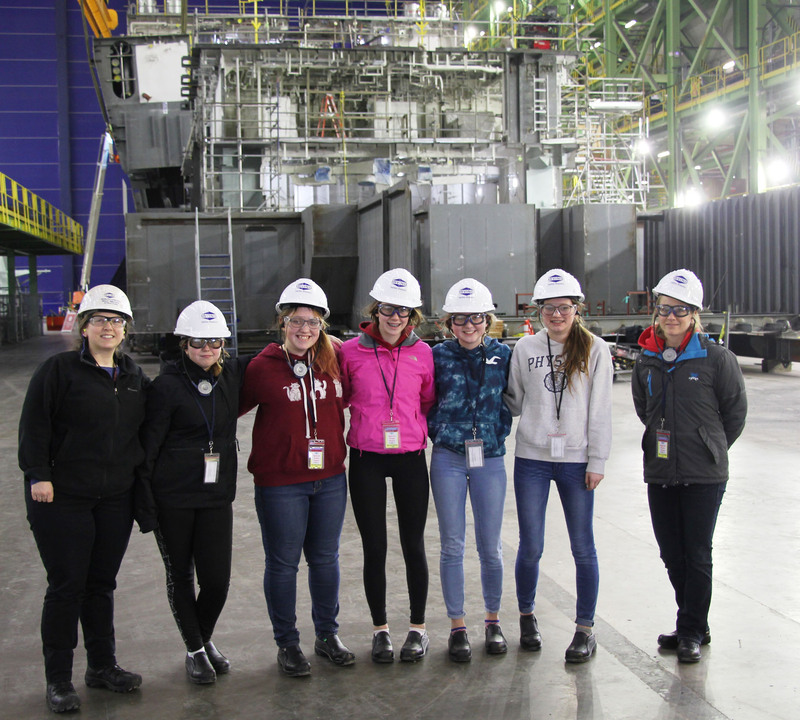 In addition to touring North America’s most modern shipbuilding facility, the girls had the opportunity to hear from women at all levels of the organization to better understand the opportunities available for everyone, including women in STEM and trades. Holly’s commitment to encourage other women pursuing similar careers is inspired by her sister Wendy who pushed Holly to pursue new opportunities and consider all careers, including those in traditionally male dominated industries.